Huge thanks again to our wonderful sponsors for making We Love Life Festival 2017 possible! Only a month away! Can’t wait to see all your lovely faces at the festival! Bring your family and friends for a fun-filled day! Let us know you are coming via our facebook event ! Hi there! 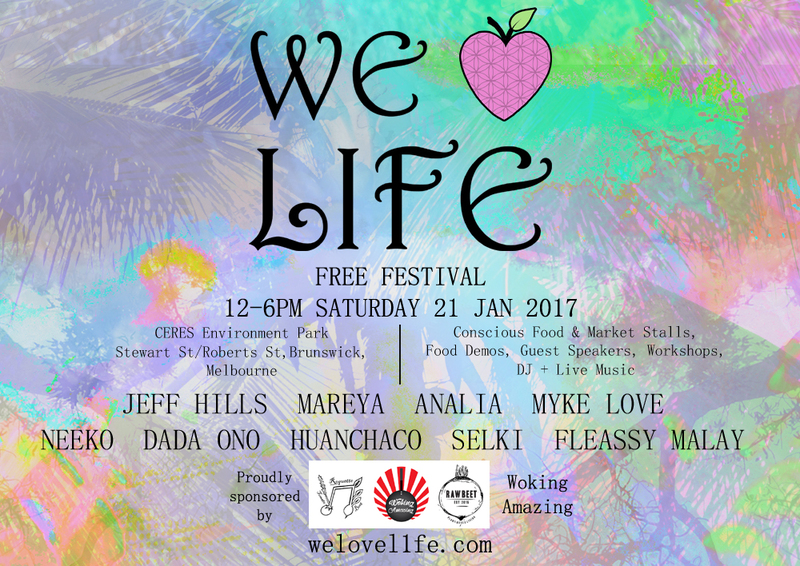 I was wondering if you guys are in need of any volunteers for the we love life festival to help set up or run some errands? I am keen to get involved and help out the team! You can email me at enya98@live.com.au or send me a message via facebook. Much love!